Office Number 6 B, LIG Flats, Ashok Vihar, , Near Icici Bank, Phase III, Pocket D, Deep Enclave, Delhi, Delhi, 110052, . 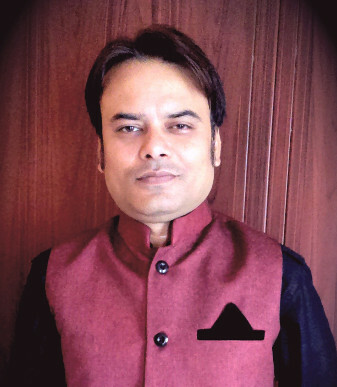 We are in the process of Updating Experience data for Rakesh Sinha, Vedic Astrologer In Delhi. Rakesh Sinha are a 4.49 Star Rated Vedic Astrologer In Delhi. Contact or Chat with them for any Consultation from Rakesh Sinha. Website, email, phone, address of Rakesh Sinha are being listed here for your Information. We also have gathered the Reviews of Vedic Astrologer Rakesh Sinha for your Reference, and these reviews are given by Genuine people like you after Consulting the Vedic Astrologer Rakesh Sinha . If you Already have consulted them, Please Rate them from Bottom of this Page. In my View Astrology is completely mathematical calculations. I specialise in giving solutions in scientific way. 15+ yrs in Astrology with Gold Medal.